Engineer's Society: Put Yourself at the Throttle! HomeEventsEngineer’s Society: Put Yourself at the Throttle! Engineer’s Society: Put Yourself at the Throttle! 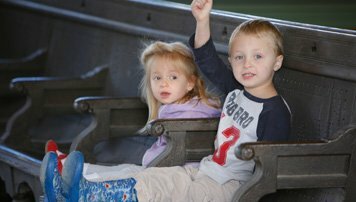 A once-in-a-lifetime opportunity to operate a steam locomotive! 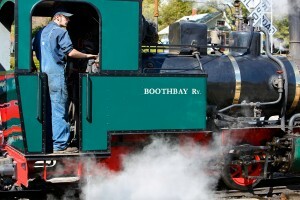 Have you dreamed of putting your hand on the throttle of an authentic steam locomotive? The Boothbay Railway Village is announcing a brand new experience called the Engineer’s Society which allows guests to do just that! On the day of your reservation, you will arrive at the Museum by 3:00 PM and work directly with our Chief Engineer, Brian Fanslau, learning one on one about the operation of the steam locomotive. Your ground course will cover basic railroad and steam locomotive safety, as well as basic steam locomotive theory and operation. Program concludes at approximately 5:00 PM with an opportunity to assist the Chief Engineer with putting the locomotive to rest for the evening. The fee for this unique opportunity is $225, or $200 for Museum Members. Museum admission for family and friends is not included. Each participant will receive an Engineer’s Society Certificate, an engineer’s hat and a pair of heavy duty gloves. Gift certificates are available and make great Father’s Day, Birthday and Christmas presents! Scheduling is first come/first served, so please consider first, second, and third choices for dates. Registrants must be at least 18 years old and in good general health. No previous experience required. Long heavy pants like jeans or overalls are mandatory along with closed toe shoes or boots. A “General Release” signature will be required at time of registration. Your fee is non-refundable but your date is transferable with at least 48 hours’ notice. Program may need to be rescheduled in the event of severe weather at the discretion of the Chief Engineer. To book your one on one experience today, contact Margaret via email or at 207-633-4727.